If your in Las Vegas then you have to get downtown and check out Fremont Street. 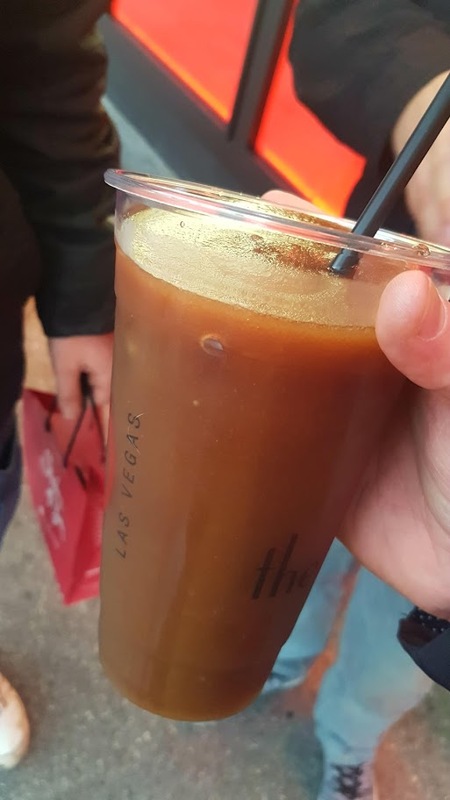 This gives you the feel of the real original Las Vegas experience with all the vintage neon lights plastered everywhere. 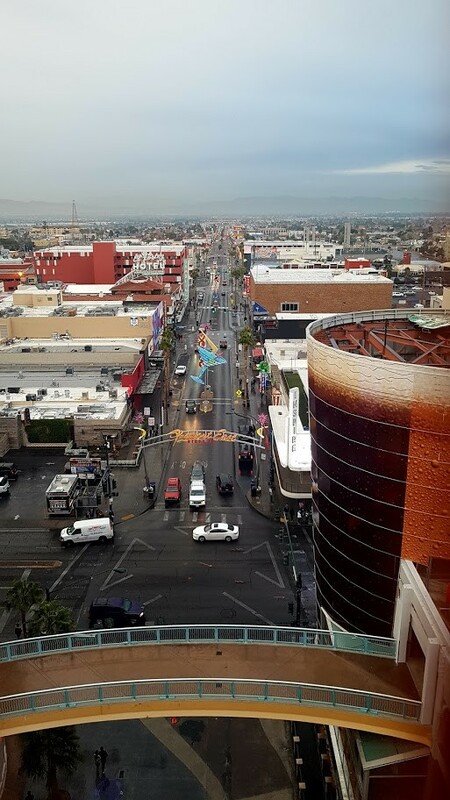 I was quite excited as I hadn’t been to Fremont before, plus along with friends we were going to do the Slotzilla Zipline and I love anything that gets the adrenaline going. I thought I’d try the monorail for a change to head downtown, what I didn’t realise was the monorail only goes as far as the Stratosphere, so from here I ended up calling a Lyft to take me the rest of the way. 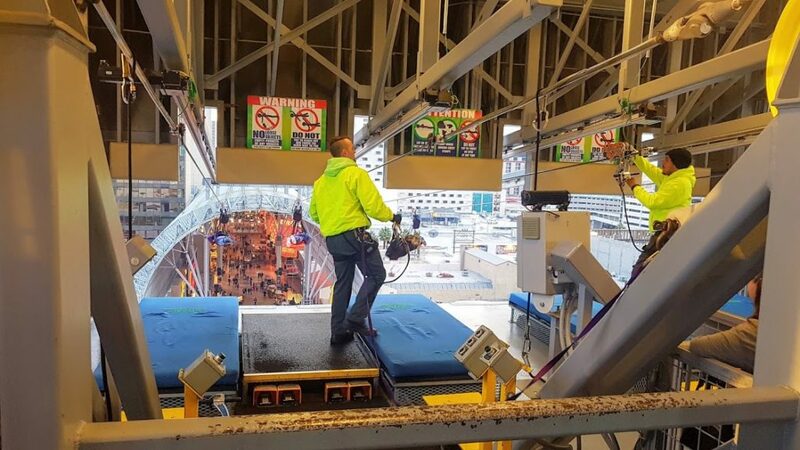 I was quite excited as I hadn’t been to Fremont before, plus with friends we were going to do the Slotzilla Zipline and I love anything that gets the adrenaline going. We went into the ticket office where you pick a time slot. After this we had some time to kill before the slot, so we bought ourselves some slush puppies to pass the time. This turned out to be a drastic mistake, because when our time finally did come we joined up to a queue that would take us up to the higher of the zip lines. I had my 360 camera at the ready, excited to get some amazing footage. Nope, they wouldn’t allow me to use it, it was there go pro (that you had to pay a ridiculous price for) or nothing. I wasn’t happy to say the least and to top it off. We hadn’t anticipated that this queue, would last for an HOUR!! There are no toilets and no escape as you slowly inch by inch make your way to the top, at one point I was dancing around and very tempted to just unzip and let it all flow over the side. But, when we finally did reach the top. We only had to go and adopt the superman position and lie down, bloody lie on my ready to burst bladder. Im telling you, it was taking all the willpower I could muster to not P**S myself by this point. 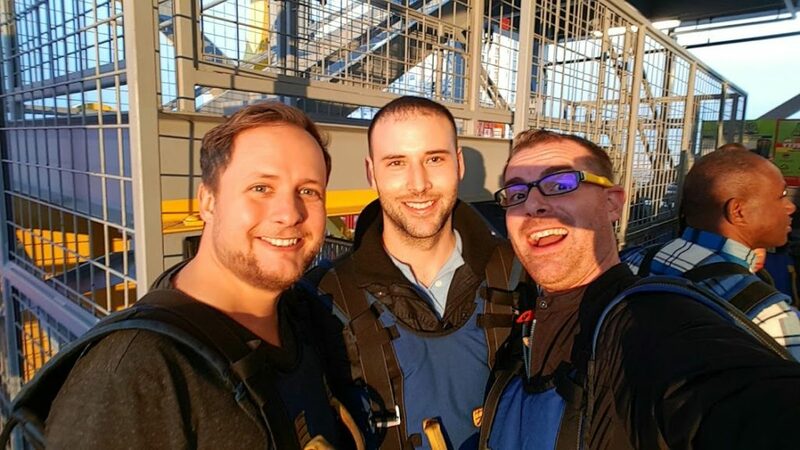 Don’t get me wrong I really enjoyed the experience, but I wasn’t hanging around to look at the photo, all three of us got off and ran into Golden Nugget to find the nearest restrooms, I couldn’t explain to you the relief I felt at that moment. Flying over the top of the mall like superman was great fun and worth the $40. Just make sure you don’t have a massive drink and use the restrooms before you head on up. 360 photos are available to purchase here. or watermarked​ at half price here. 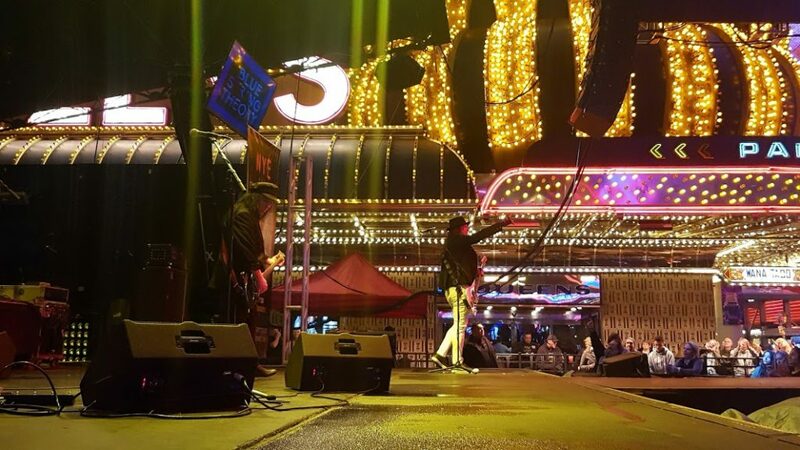 Fremont Street Experience is a five-block entertainment district in historic downtown Las Vegas. 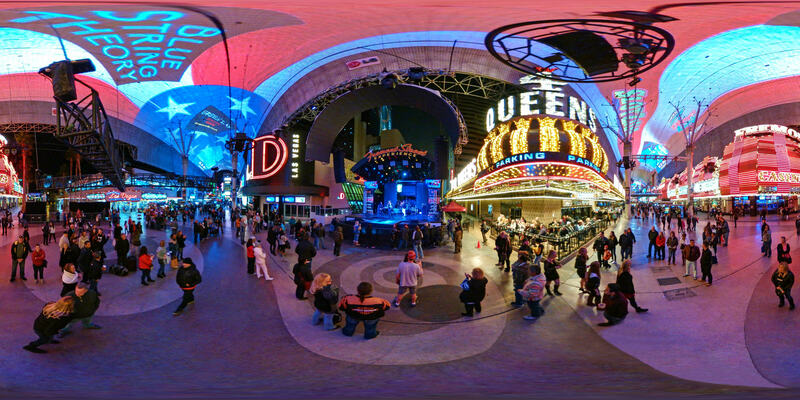 The centerpiece of Fremont Street Experience is Viva Vision, the world’s largest video screen. The Viva Vision screen is 1,500 feet long, 90 feet wide and suspended 90 feet above the mall below. I’ve put together a little list of 21 things to see & do if your unsure. Easiest way to get there is to jump in an Uber or Lyft. Uber – Get $5 credit for your first Uber ride here. Lyft – Get $5 credit for your first Lyft ride here. Check to see if there are any free concerts happening on one of the stages. Calculate your tip and divide your bill by typing Tip Calculator on google. Get $5 credit for your first Lyft ride here. Get $5 credit for your first Uber ride here. Get $30 (£25) off your first Airbnb trip of $70 (£55) or more click here. 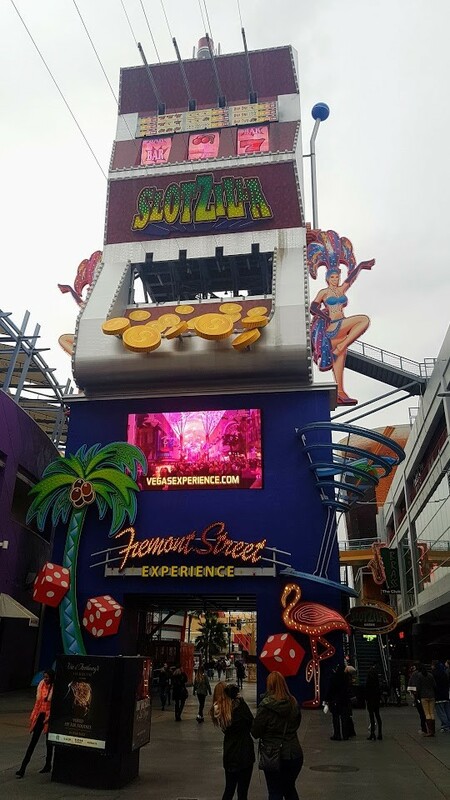 Have you been to the Fremont Experience? Have you tried the zipline? What did you think?